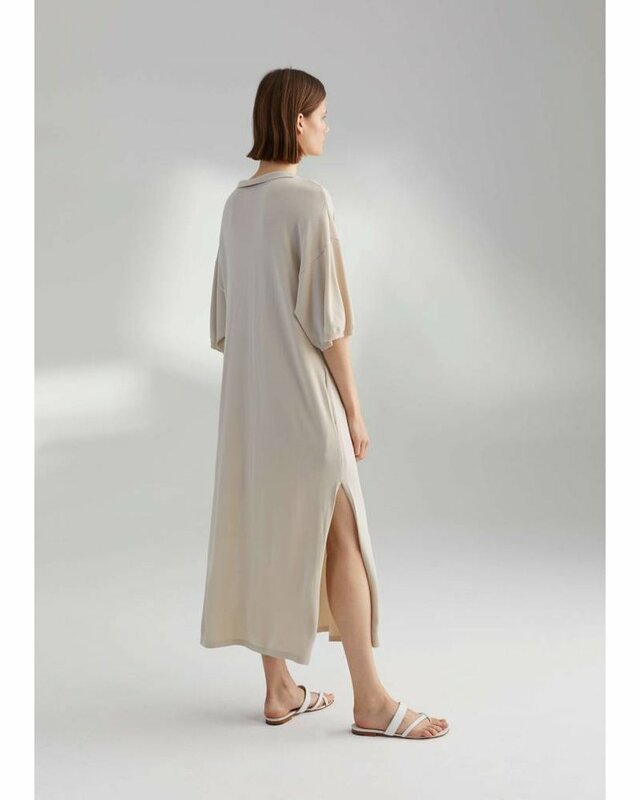 Belize is an oversized maxi dress with a relaxed look. 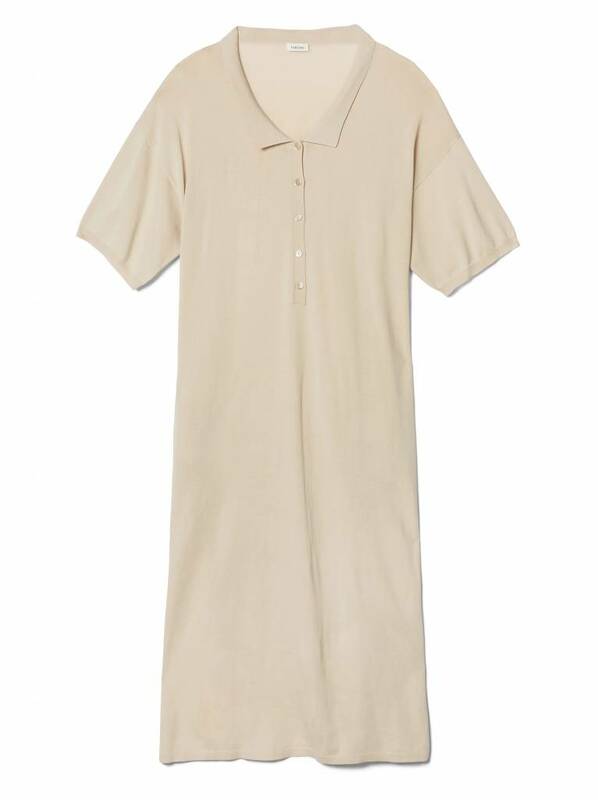 It has a polo neck-style collar with buttons, drop shoulders, three-quarter length sleeves and a slits at the sides. 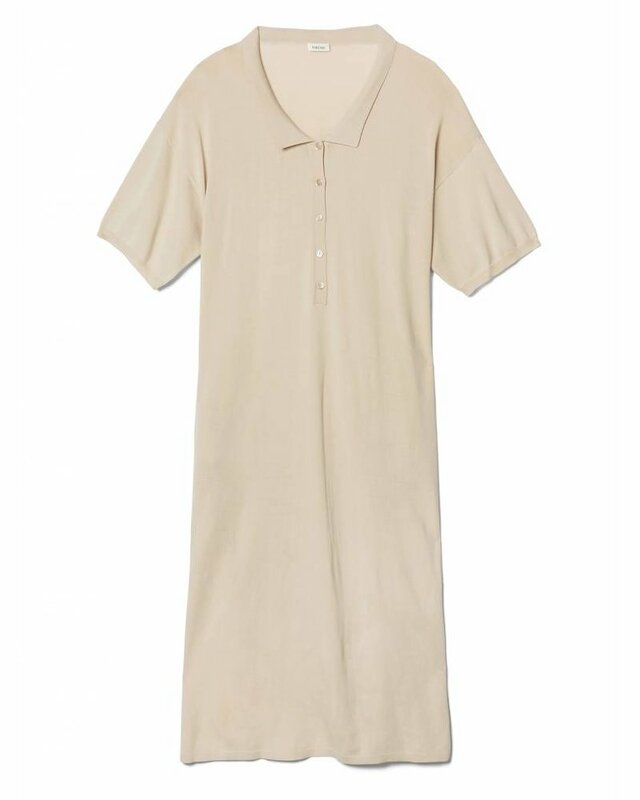 Wear with sandals on casual days off.